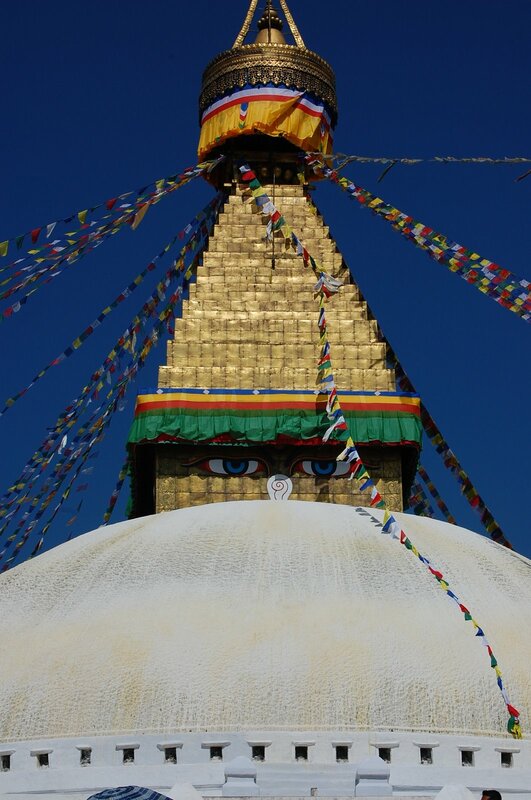 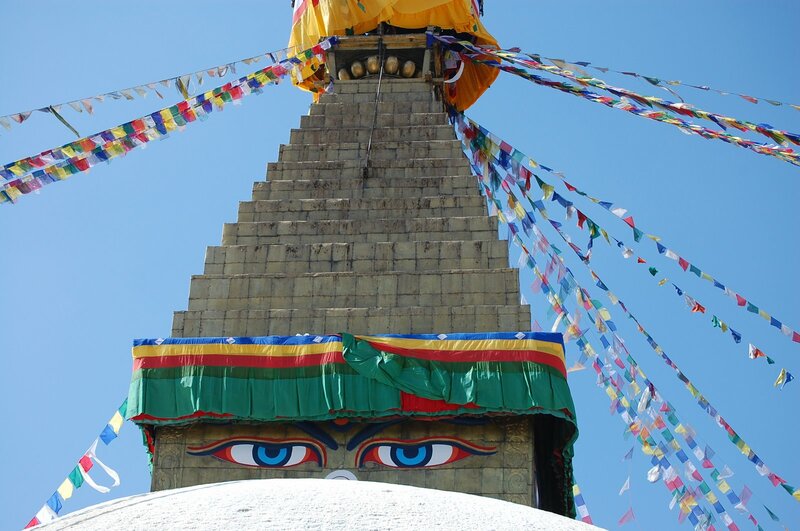 Bodhnath is the largest Buddhist stupa, or shrine, in Nepal, and is one of the UNESCO cultural heritage sites in Nepal. 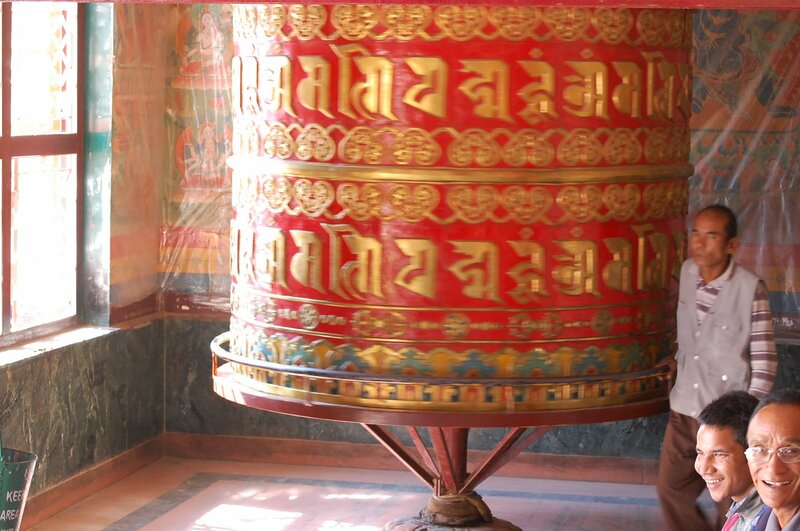 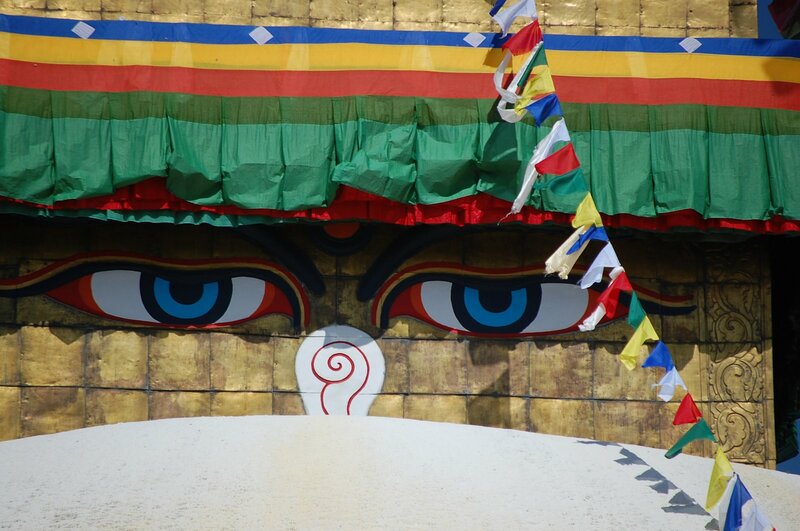 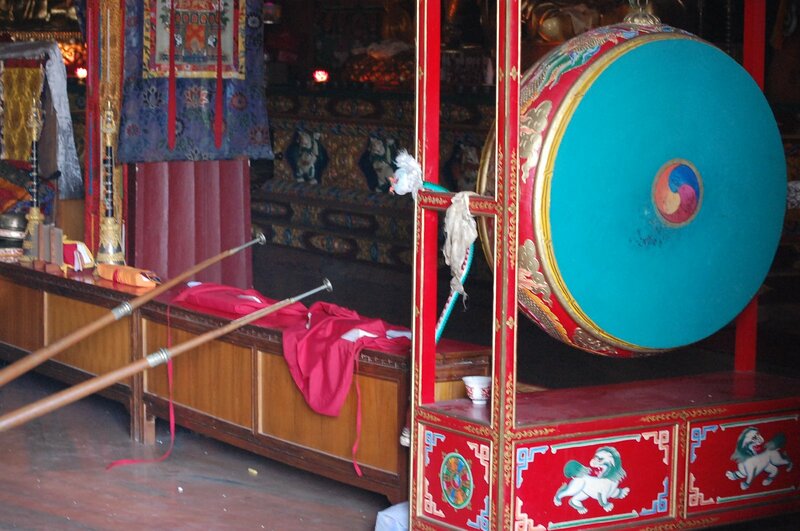 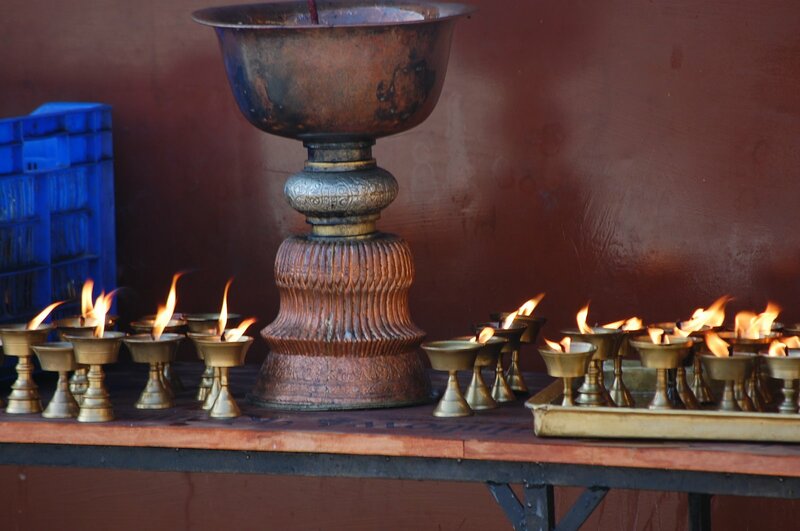 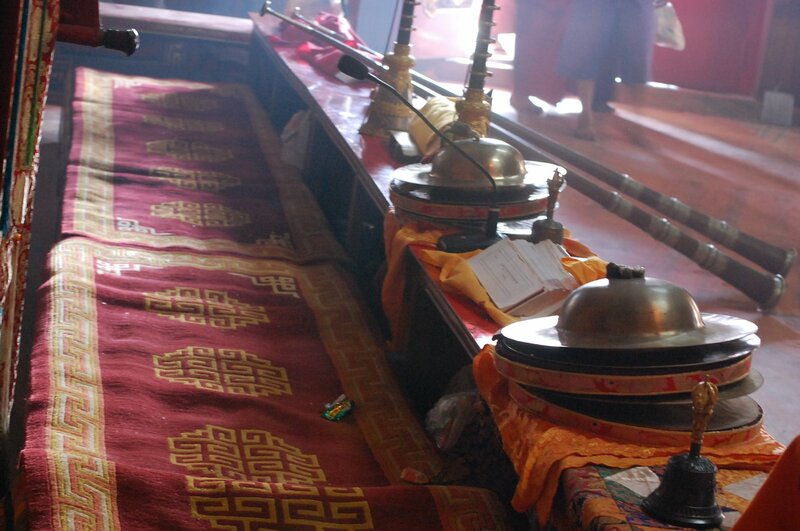 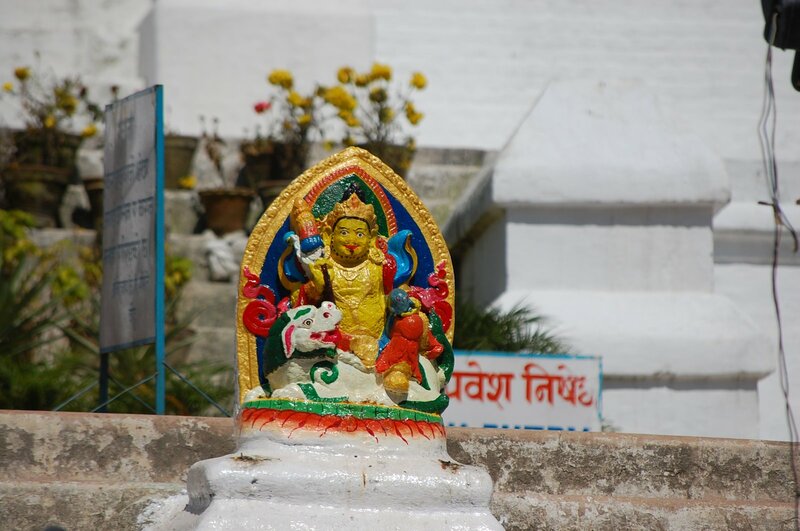 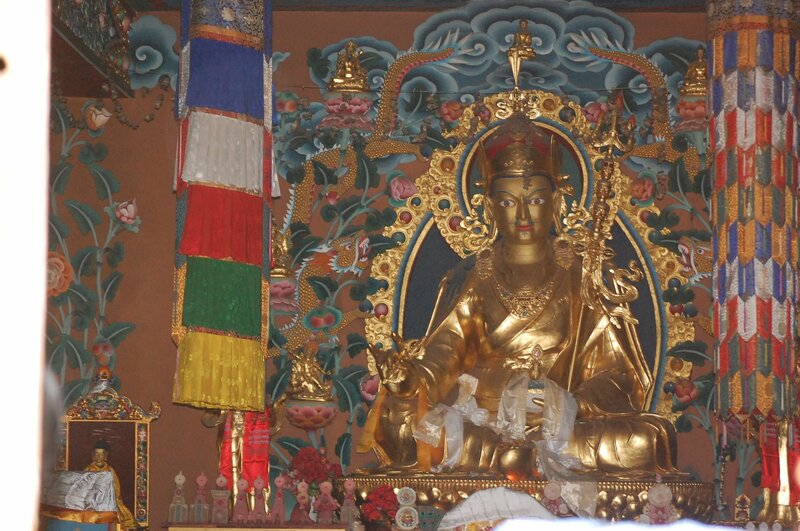 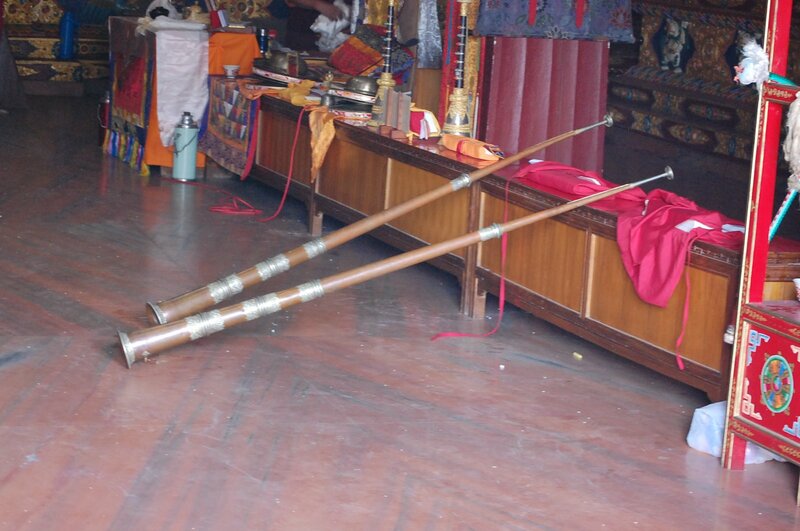 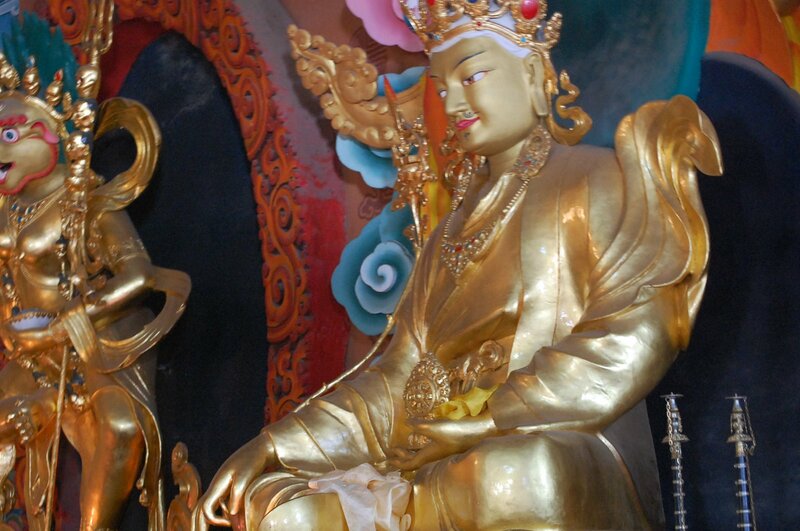 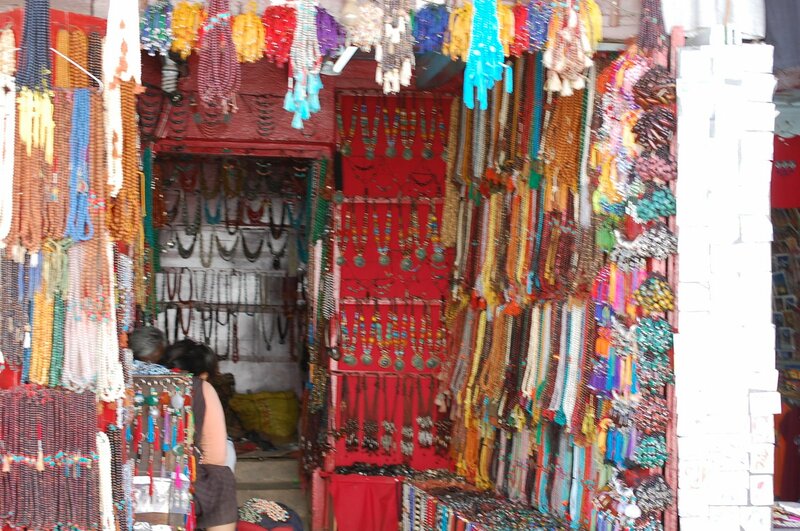 It’s a major pilgrimage site for Buddhists, and one of the most important holy places in Nepal. 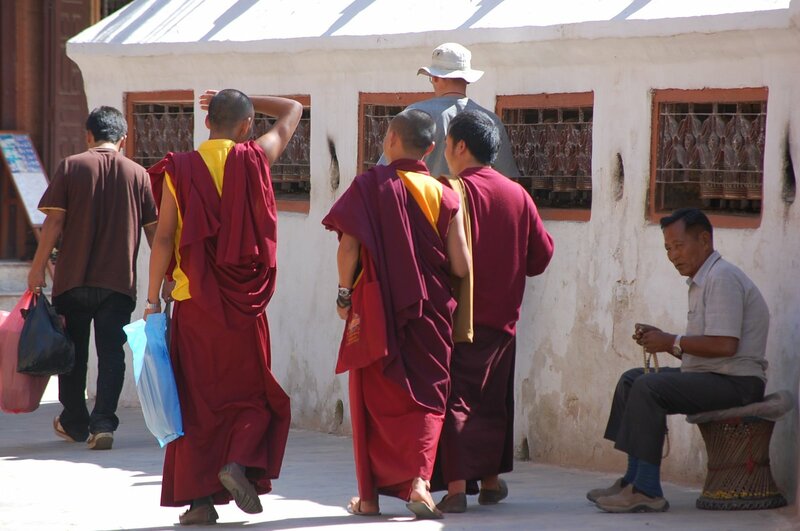 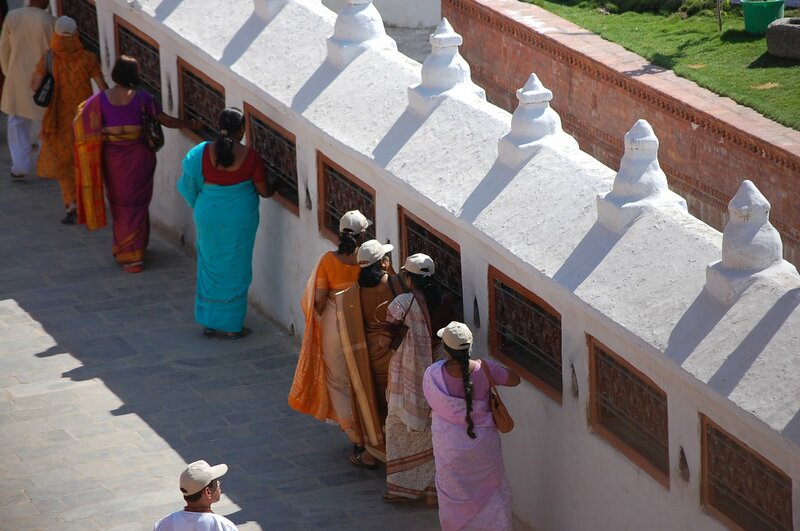 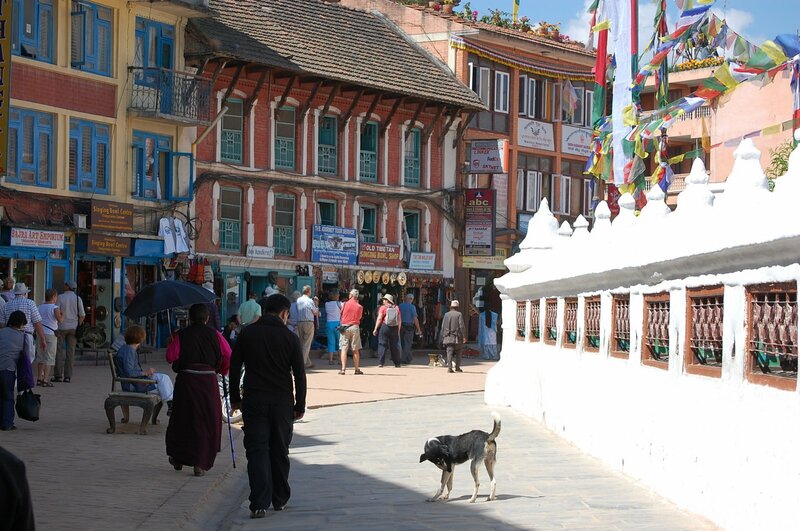 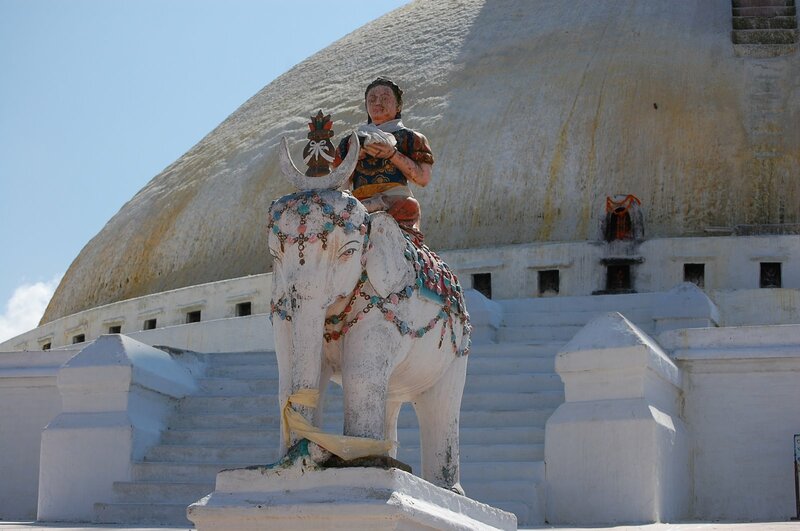 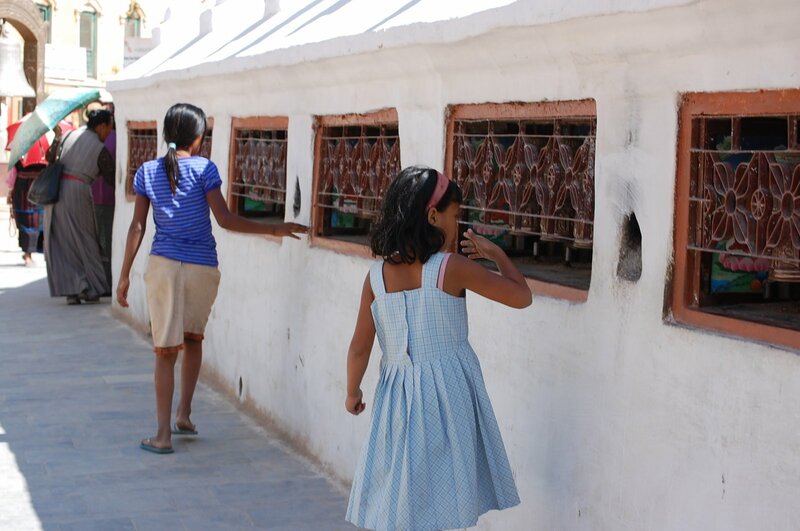 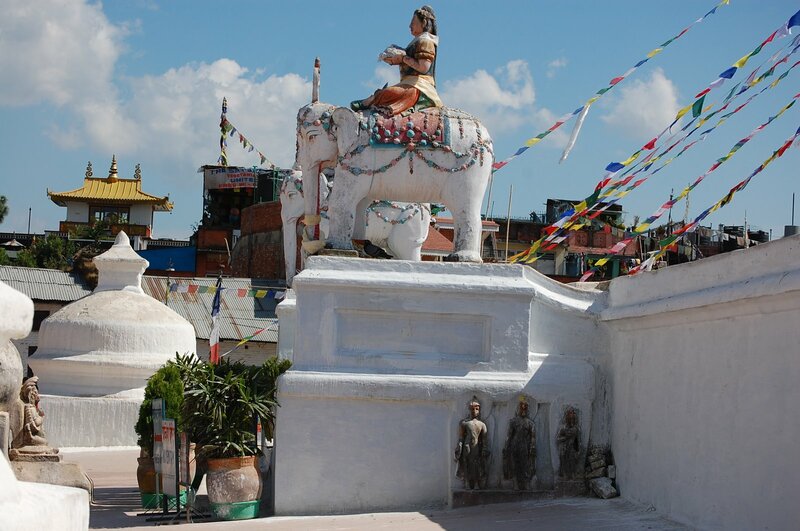 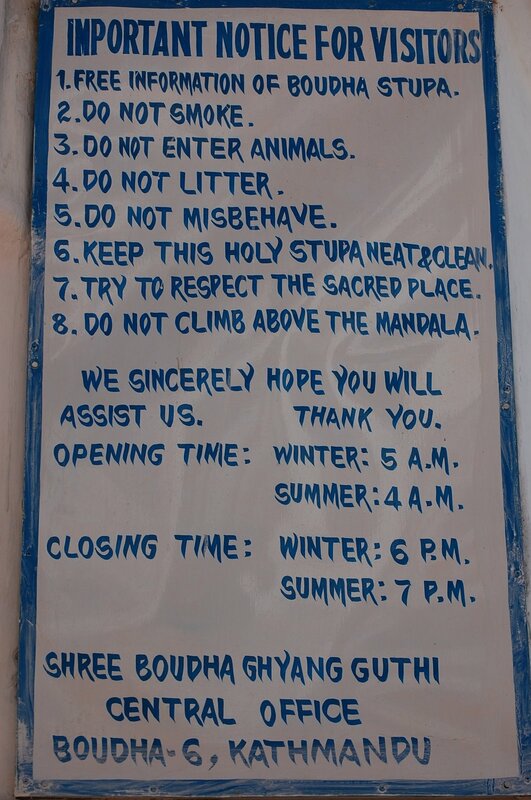 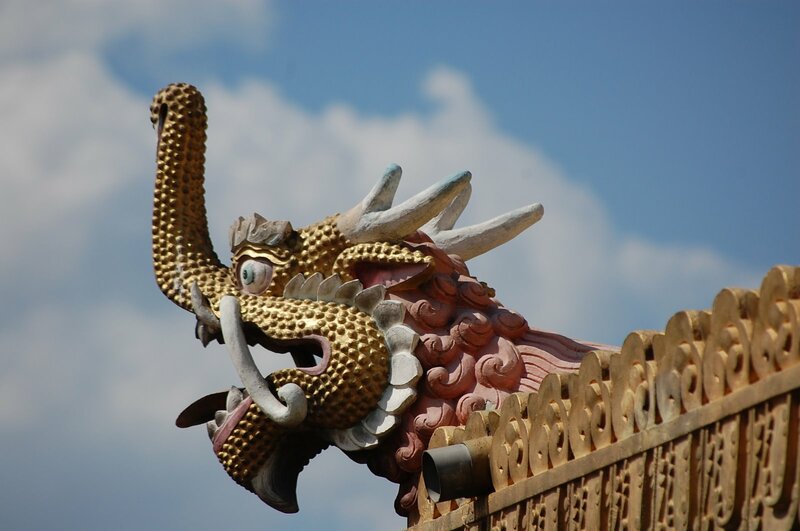 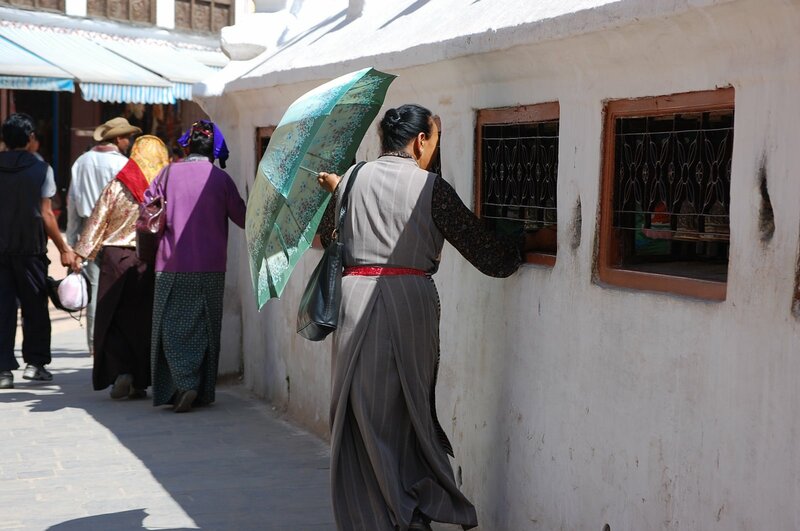 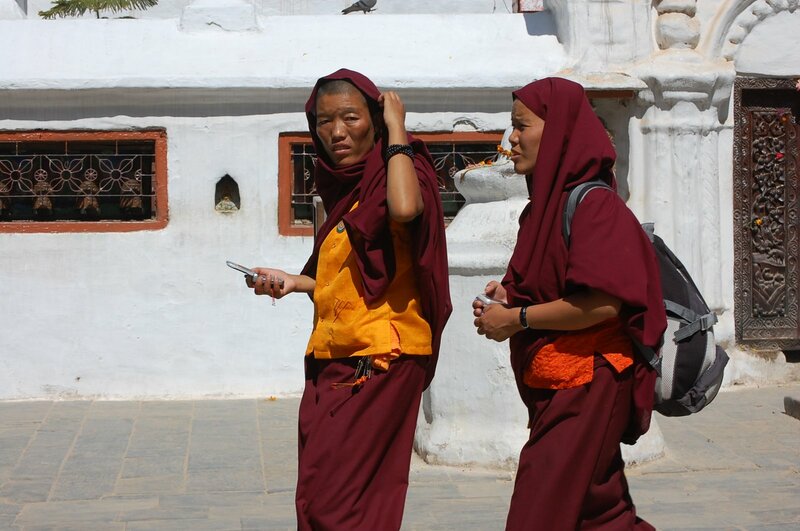 Walk clockwise around the stupa. 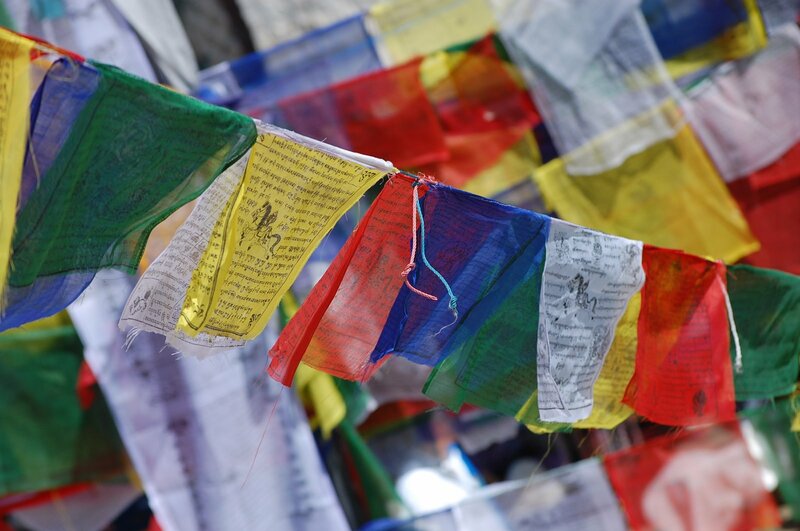 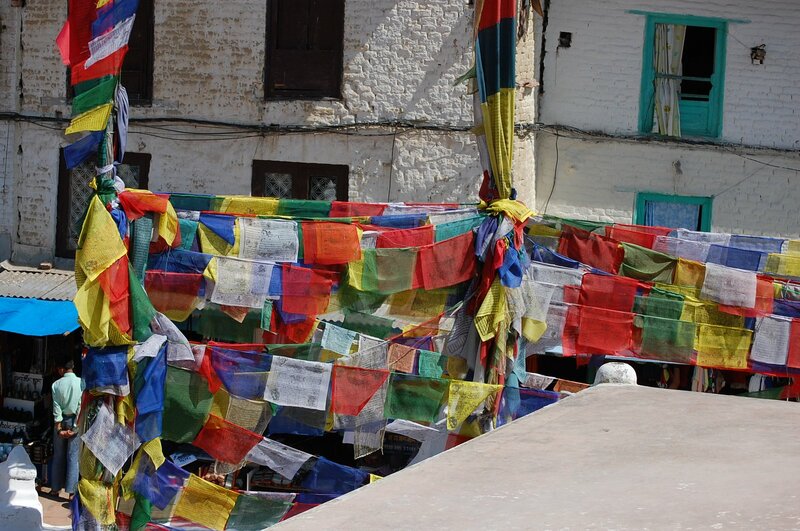 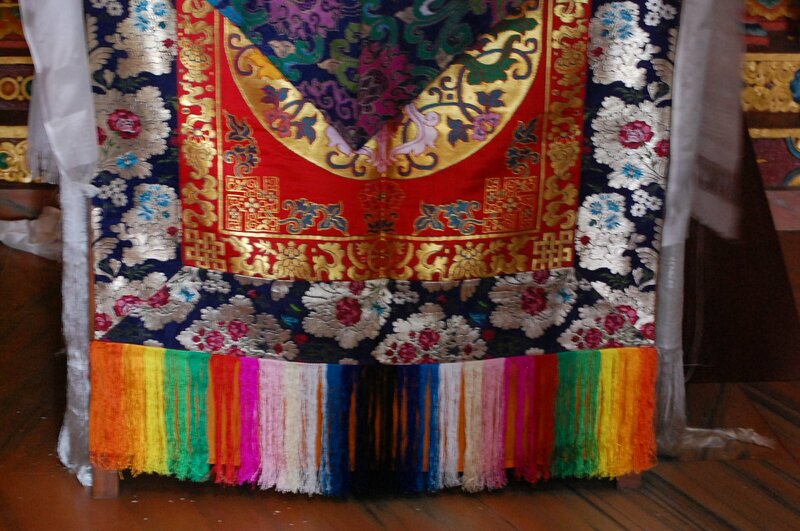 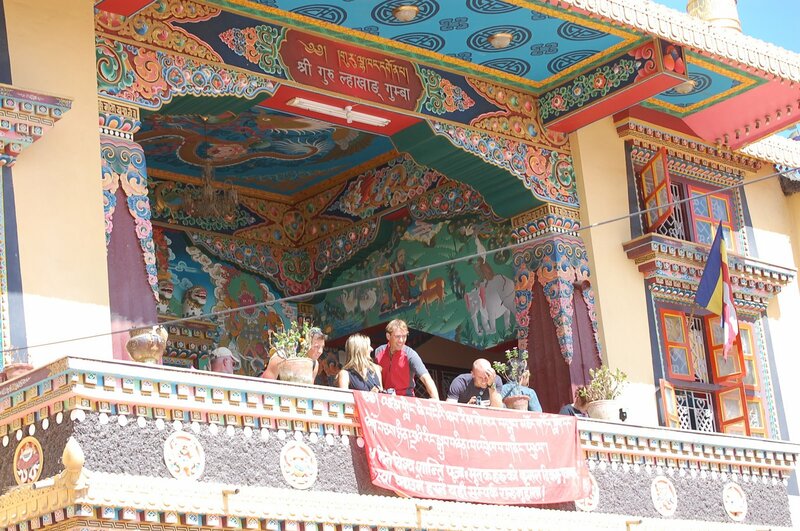 Prayer flags … the five colours represent the five natural elements of earth. 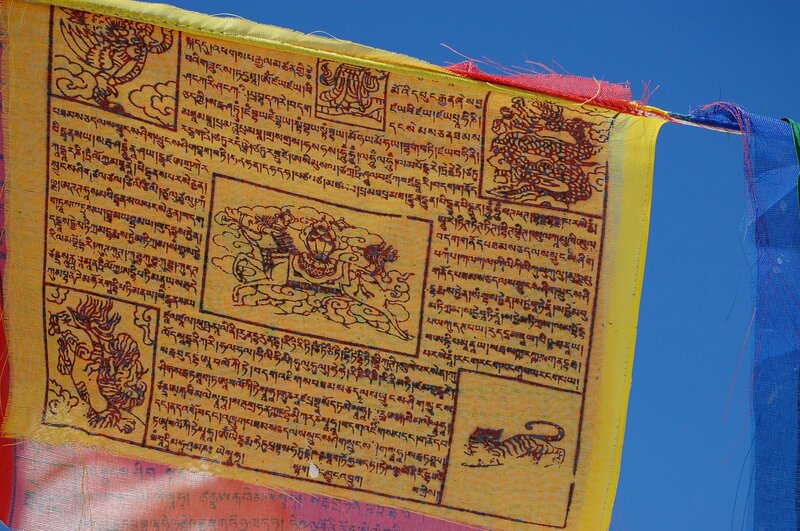 Depending on what you need to achieve harmony with all elements, a prayer is printed on the flag, and flown. 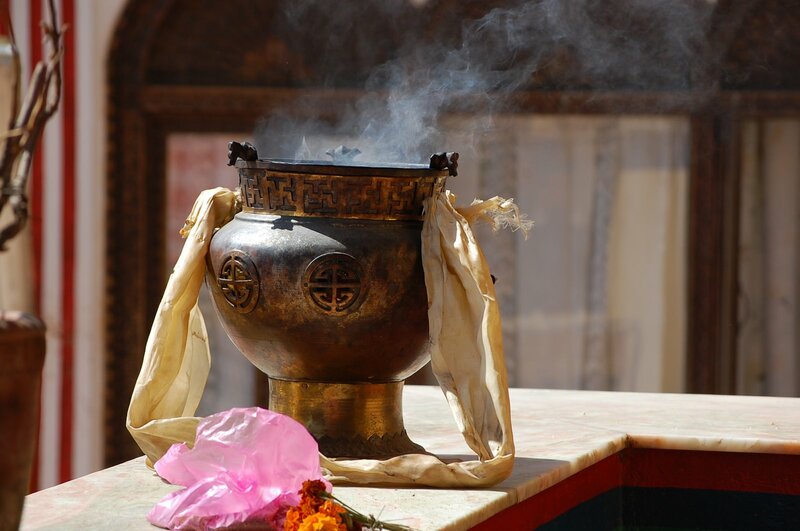 The belief is that the winds will blow and take your prayers forward to the gods.